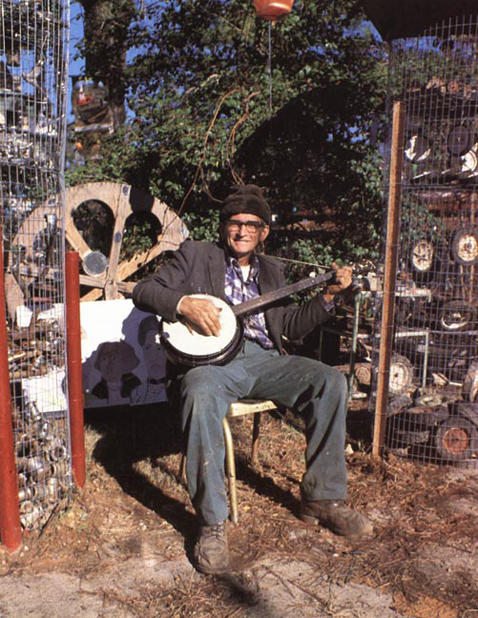 The American artist Howard Finster, believing that he was inspired by God to spread the Gospel, built an extraordinary Paradise Garden in Georgia, and produced tens of thousands of works of art. He first came to prominence in the 1980s, when his work was used on record covers by R.E.M. and Talking Heads. He is now probably the best-known 'outsider' artist of recent times. Finster's art includes paintings of icons of American culture such as Elvis Presley, George Washington, Marilyn Monroe, and Coca-Cola bottles, but the majority of his work was overtly religious. Every piece was numbered by the artist, who considered it important to produce as much art as he could for the glory of God. The works in this exhibition are 'message posters': mass-produced, cheap monochrome prints, intended for wide circulation, that bear spiritual or visionary thoughts and communications. They have been framed by a member of the Reverend Finster's family, following one of his designs. The Douglas Hyde Gallery warmly thanks Beverly Finster for her help and support. 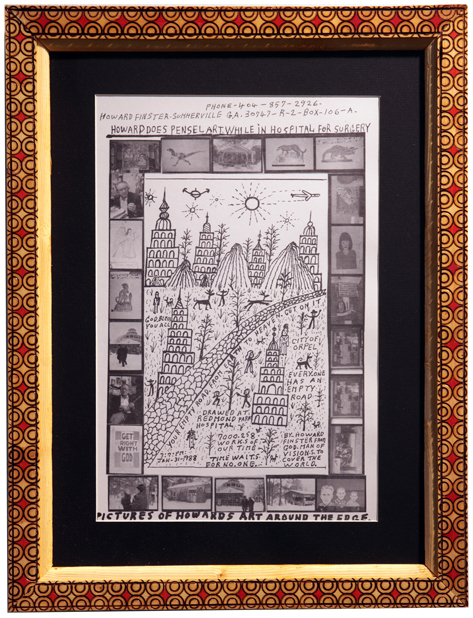 In the spirit of Howard Finster's intentions for the message posters, the framed prints will be distributed in a free raffle at the end of the exhibition.